A battery backup is highly recommended for all Lavu controllers and Mac Mini's. A battery backup his highly recommended for all Lavu controllers and mac mini users. Connect each device into an Uninterruptible Power Supply (UPS) to avoid damage to your valuable equipment. Without this piece of equipment you run the risk of damaging each piece of equipment. In the event of a power outage or surge the UPS will allow your equipment to keep power for a few minutes. Just enough time for you to properly shut down the equipment before the battery depletes. The objective of a UPS is to allow you enough time to properly shut down your connected devices in the case of a power outage. It is not necessarily to provide enough energy to keep your connected devices powered for a prolonged period of time. 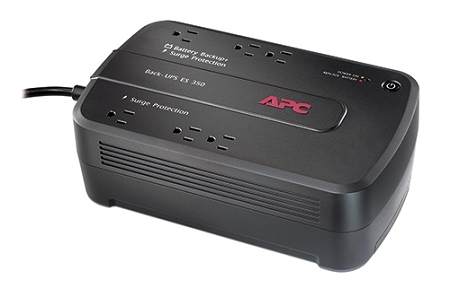 While there are UPS devices that can provide prolonged backup power they are large and quite expensive.